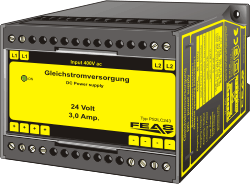 The power supplies of the PS2LC3 series are powerful and robust devices to power electrical loads, like contactors, magnetic switches, magnetic valves, relays or something like that. 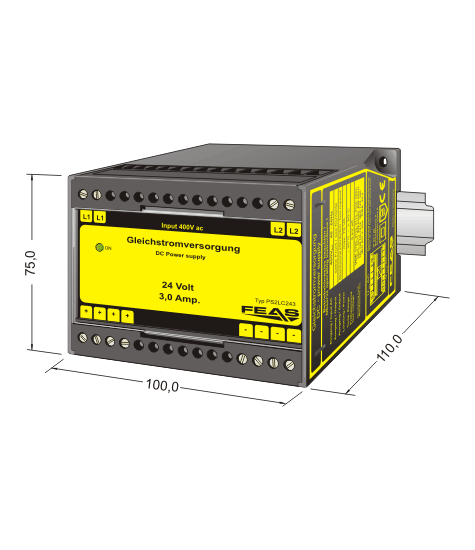 Power supplies of this type are suitable as well for the most PLC-applications. This power supply is optimally suited for loads requiring high starting current. The output voltage is short circuit proof. Because of its robust design, casted in a stable plastics housing, it is particularly suitable for being used in rough industrial environment, e.g. in shipbuilding. Furthermore it is quite insensitive to surge voltages.